Mahesh Bhatt and Mukesh Bhatt's Vishesh films celebrated 30 years in the industry by hosting a special screening of ' Begum Jaan'. 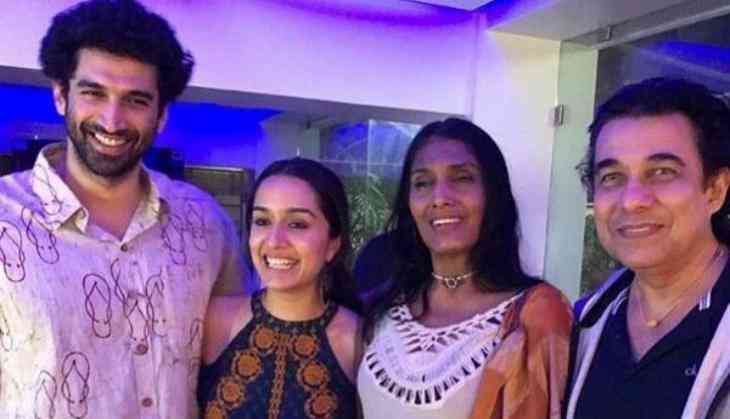 While many celebrities were spotted at the event, this special moment of ' Aashiqui 2' stars Shraddha Kapoor and Aditya Roy Kapur meeting the 'Aashiqui' stars Anu Aggarwal and Deepak Tijori made everyone nostalgic. The 30-year-old-actress took to Instagram and shared the click and captioned it, 'Celebrating !!! Will always be so proud to be a part of this. In the photo, all the actors can be seen string a lovely pose for the shutterbugs. Donning a white outfit, Anu clearly looks happy as she stands in between Deepak and Shraddha in one of her rare public appearances. Looking elegant in a cold shoulder dress, the ' Ok Jaanu' actress was seen flashing a broad smile.